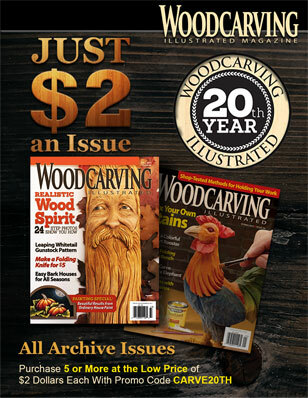 When I made a Wolf’s Head Stapler Cover (see Woodcarving Illustrated Winter/Spring 2016, Issue 74), I bought a 4″ by 4″ by 8″ (10.2cm by 10.2cm by 20.3) piece of wood. After I cut the perimeter of the wolf’s head pattern on the band saw, I was left with an irregularly shaped section left behind. 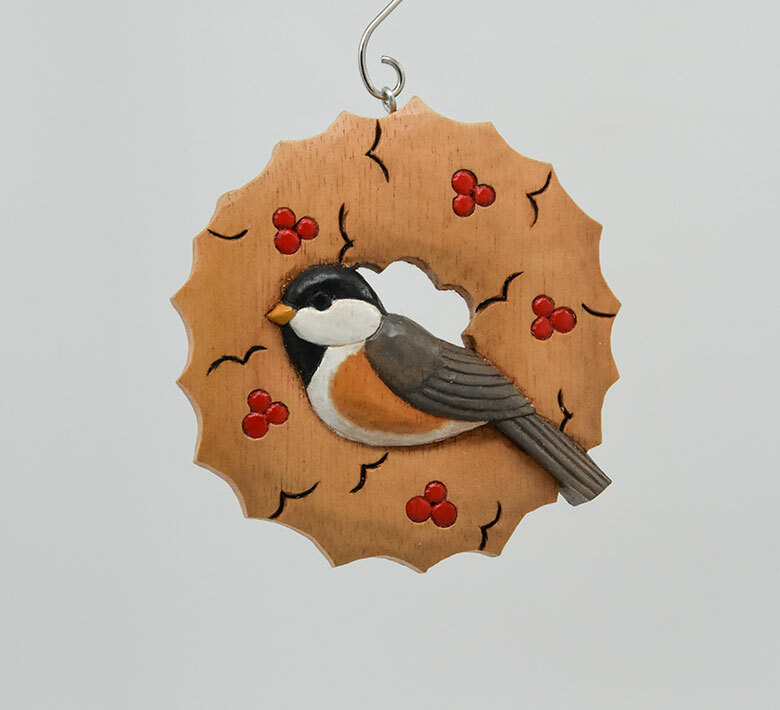 It looked like it had doorstop potential to me, so I turned a couple of the pieces into animals that would hold doors in place. 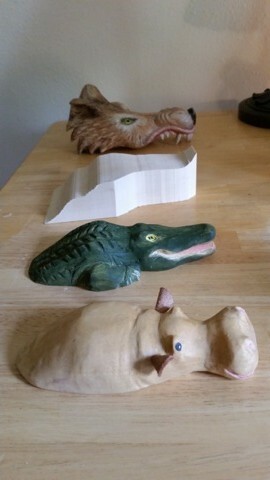 Shown here are an alligator and a hippopotamus. 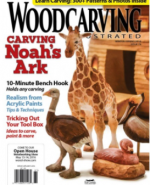 Check out more great articles from Woodcarving Illustrated Winter/Spring 2016 (Issue 74) here. 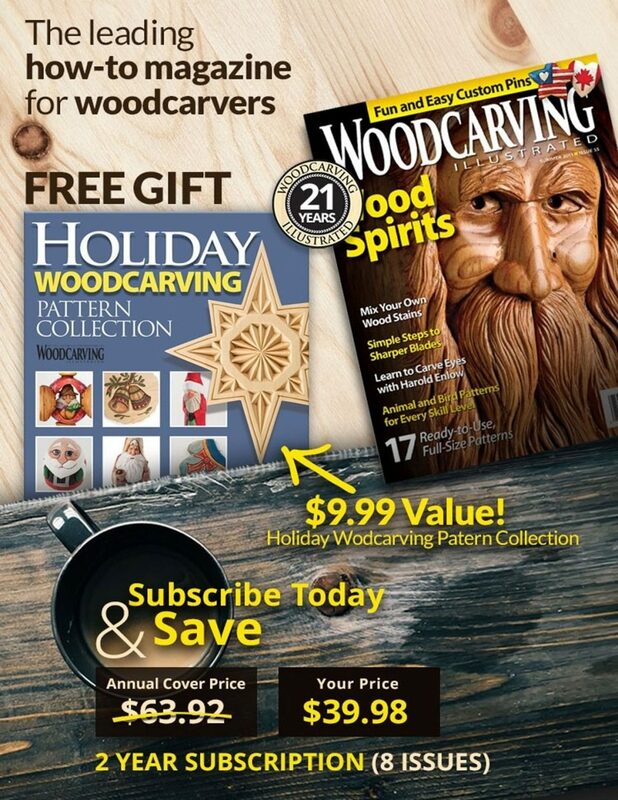 Purchase the issue here.